In order to maintain a good water quality in waterbeds periodical usage of effective waterbed conditioner is advised. As for now the existing regular waterbed conditioners contain chemicals disinfectants having the active component Quat (Alkylbenzyldimenthylammoniumchloride). From the point of view of scientific research it has been proven that the current chemical waterbedconditioner (Quat) is insufficient. European laws and regulations regarding disinfectants have been revised strongly. Stricter norms have been introduced in the field of environmental protection and the general quality of municipal water has been improved. The chemical waterbed conditioner do pollute the environment. In cooperation with the Research Centre of the University of Wageningen in the Netherlands we have developed a biologic watebed conditioner. Aquabio, our biologic waterbedconditioner prevents seriously the devlopment of air bubbles and is 100 % environment friendly product. Our biologic waterbed conditioner AquaBio activates alternative water treatment methods by addding a large number of water filtering micro organisms. The used micro-organism belongs th the risc category 1 ( according to TRBA) which mean it falls under the most innocent micro organisms applicable safely by consumers. Apparently the biologic waterbed condtioner has no negative effect on the matress , such as on waterbed vinyl and its stabilisation mechanism . Its usage and activation is unique and patented. 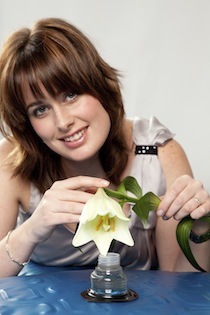 The in-house developed packaging is practical and easily dispatched. 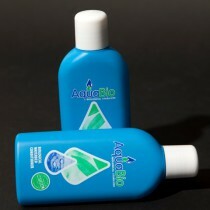 AquaBio ha salso introduced an ecologis waterbed vinyl cleaner. Our vinyl cleaner cleans waterbed matresses in an environment friendly way, protects and maintains.